The cost of staff illness in winter can soar for businesses. While unexpected staff absence is always a concern, this can escalate during the cold winter months. Staff are genuinely more prone to colds and flu at this time of year but others can be tempted to take a sneaky ‘duvet day’. It’s important that managers handle staff illness properly in the interests of the business and for the well-being of their staff. Loss of productivity through sickness at work has long been a serious concern to employers. In 2014 the UK government revealed that more than 131 million days annually were lost to sickness absence in the UK. The 2015 Chartered Institute of Personnel and Development (CIPD) Absence Survey found that on average people are absent from work for 6.9 days a year. This all adds to the cost of running your business. More recently, Personnel Today reported that a 2015 sickness absence survey of 670 organisations estimated that illness costs UK employers a whopping £16 billion a year. It makes good sense for employers to keep rates of sickness as low as possible. Sickness can disrupt schedules and productivity because unlike planned holidays it’s unexpected and can occur at any time. Businesses have to cover the cost of sick pay and also the cost of temporary cover not to mention the managerial time taken to organise all this. Yet according to the CIPD less than two-fifths of organisations actually monitor the cost of employee absence. Good practice in this area is essential to keeping absence rates down and also in managing the process once an employee has declared themselves to be sick. Currently an employee needs to give their employer a ‘fit note’ (formerly ‘sick note’) after 7 days off work. Up to 7 days sick leave requires only ‘self-certification’, completion by the employee of a form which the employer provides. Long-term sickness poses a greater challenge to employers and their businesses. 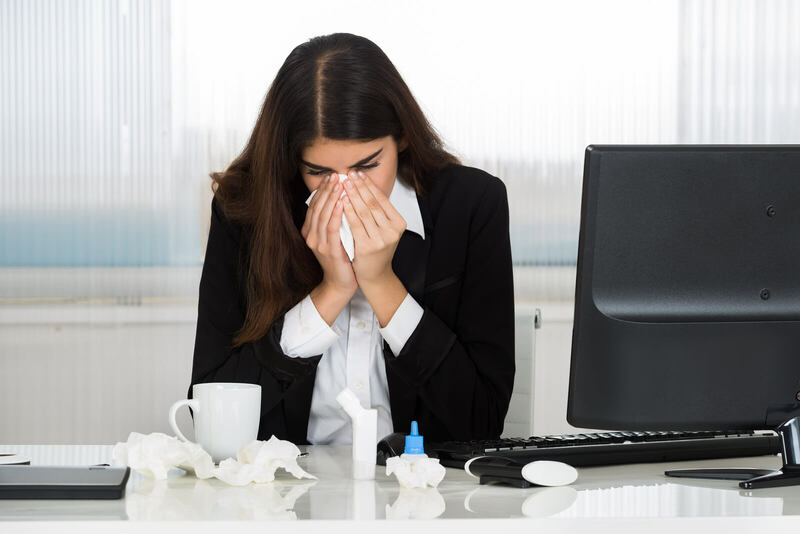 If an employee has been away from work sick for more than 4 weeks they may be considered long-term sick. Government figures revealed that on average 960,000 employees were on sick leave for a month or more each year between October 2010 and September 2013. Employers will need to consider a number of areas when dealing with such cases. For example, as part of helping them to return to work, your employee may ask you or their GP to refer them to ‘Fit for Work’, a voluntary occupational health assessment. Other parts of managing the process of returning to work may include drawing up an appropriate timetable for return. ACAS provides more advice for employers on coping during winter. Robust human resources processes will include recording sickness absence; keeping in contact; undertaking any work adjustments; preparing and then co-ordinating a return to work plan. You should make sure that your business has these important processes in place. Above all make sure you have effective ways of tracking staff attendance. Take advantage of systems which show in real-time who’s in and who’s not so that managers and supervisors can then take swift action to arrange cover and monitor absence. Some staff time and attendance systems integrate with payroll which can streamline the process for you – these systems let you apply sick pay rates correctly and promptly. Occasional illness is part of life but businesses don’t need to suffer winter woes if they are prepared.